If you do not have an apartment / house of your own, it is easier to rent furniture that to move it around with you all the time. This is particularly so if you do not only move from one town district to another, but often move to a totally different part of the country. The choice of dining tables for hire is very impressive. You can find practically any model you like – wood, high gloss, tempered glass, as well as the combination of the above-mentioned materials. The combinations, by the way, are usually the most impressive ones. A lot will depend on the terms of your agreement but in most circumstances, you can always get a new model – even if you simply get tired of the old one. Sure, you might have to pay a small fee, but it is still better than buying a totally new table or using the one you no longer like. If the damage is not your fault, the repair cost will usually be covered by the renting company. In a way, this works like a quality warranty. No doubt, outside damage (like scratches and the like) is your responsibility, but if there is a manufacturing blemish, you will get a new table immediately. This is another popular option, particularly beneficial for new homeowners. If you cannot afford to buy all the furniture you need at once, you can always make use of the rent to own options. Or, you can rent only the things you cannot pay for at full at the moment. While renting furniture to own, the end price of the product remains approximately the same. Yes, it will be a bit higher, but the difference is generally slight. Plus, if you cannot afford an upfront payment, this is usually the only solution you can go with. 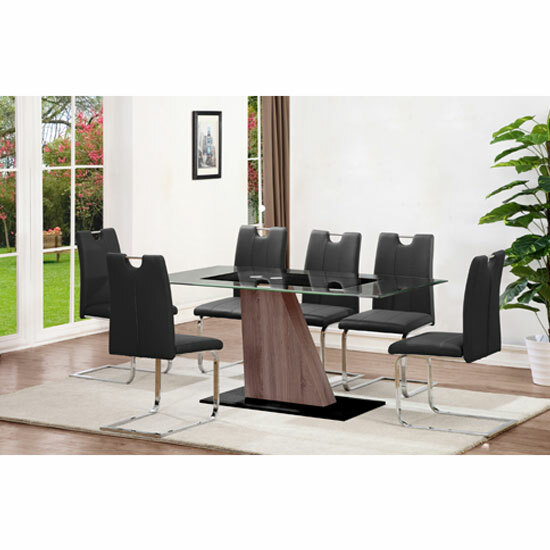 All in all, if you are moving a lot, or if you just got a new place and are now furnishing it, dining tables for hire, as well as any other furniture for rent, can be a fantastic idea. However, if you bought a new place and have the budget to furnish it at once, this might be a better option – especially given that there many e-commerce platforms that can offer you stylish, fine quality furniture solutions at a moderate cost. In the UK, Furniture in Fashion is one of such platforms. The selection of modern and traditional looking items is great, the prices are below the average limit, and the delivery times (even for the bulky orders) never exceed ten business days.